Should we fit in? Should we hunker down? Should we retreat? Should we engage? 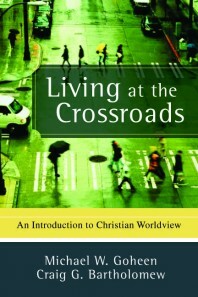 How should Christians respond to the challenges of living in a post-Christian culture? The answers to these questions will be decisive as Christians seek to live faithfully in a culture built on and guided by a very different worldview. The Church, unlike Israel, is launched into every nation and culture of humankind. God’s people no longer take the shape of an independent and separate nation living under their own sociopolitical law and on their own land. They are now a community that must live in the midst of various nations and various other dominant cultures. The urgent question is how the church can live faithfully under the comprehensive authority of God’s Word, embodying his all-encompassing renewal, and at the same time live within cultures in which other all-embracing worldviews and powers hold sway. God’s people must reject the temptations mentioned above—to fit in, to hunker down, to retreat. “Faithful, relevant witness” is the way Goheen and Bartholomew describe the biblical stance for living in “cultures in which other all-embracing worldviews and powers hold sway.” But they caution against seeing these cultures as totally broken and totally sinful. Sin never twists or destroys any culture product or societal institution so badly that nothing of the creational goodness remains in it; God faithfully upholds his creation by his word. At the same time, a spiritual power that stands in opposition to Christ has touched and tainted every one of those same cultural products, institutions, relationships, and patterns. Thus, for example, in the political arena we recognize much of God’s creational design for the government to pursue public justice, yet we can see how the spiritual power of a liberal ideology may corrupt that design and lead to injustice. Here we encounter the necessity for discernment—often a long, agonizing, and tedious process. A faithful embodiment of the gospel in our own cultural settings demands that we discern between the creational structure and design in all things and the religious misdirection and rebellion that pervert God’s good world. In the final chapter of their book, Goheen and Bartholomew discuss what this might look like in six areas of contemporary life: business, politics, sports and competition, creativity and art, scholarship, and education. Let’s take a very brief look at one of these areas that we all can relate to, education. Goheen and Bartholomew sketch key elements of public education, much of which is contrary to a biblical worldview. · Contemporary public education has largely been formed by the Enlightenment worldview. · According to this view, ignorance is the enemy of progress and education can serve the humanist vision of equipping each rising generation to build a “more rational society of freedom, justice truth, and material prosperity”—all defined by the secular Enlightenment worldview. · Many in contemporary society have become uncertain about whether there can be a common vision for the culture. Correspondingly, they wonder if there is a body of unified knowledge that can be passed on to future generations. · Consequently, the purpose of education gets reduced to “economism and consumerism.” Students are prepared to compete for jobs that will enable them to live in a culture of consumers. Christians, if they are committed to being “faithful, relevant witnesses,” will have a significant agreements as well as significant disagreements about the nature and purpose of education. · We can agree with many public educators who believe that education should equip students to play a positive and productive role in society in order to build a better society. · Christians can agree that students need to be prepared to care for themselves and their future families. · But we must reject the Enlightenment view of science as the way to bring about a better society.